What’s the first thing that comes to mind when planning furniture shipping? Besides the cost, there’s a good chance of trying to figure out how to ensure it arrives the final destination in one piece. Of course, no one would like to see their pricey furniture dinged up in a couple of places upon arrival, that’s just terrible. Well, it’s pretty simple. You need to try as much as possible to prepare and package your items properly. Of course, the biggest risk associated with furniture shipping is freight damage. As such, it’s in your best interest to step up your packaging game and ensure everything is in order. Need a little help? 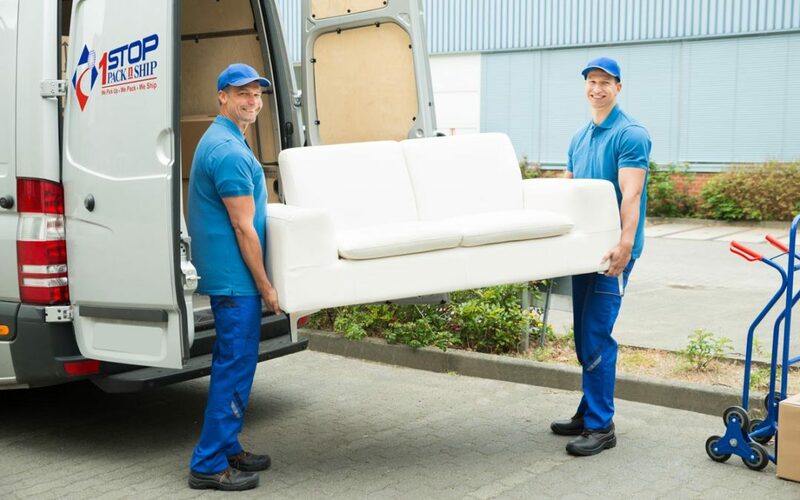 If yes, you’ll be happy to hear that we 1Sroppacknship know exactly what it takes to prepare furniture and antiques for shipping. And as you probably guessed, this post will let you in on just about everything you need to know. First things first, it’s great to learn more about the category of furniture you’re about to ship. Of course, you already know what you have in your home or office, but this simple breakdown should come in handy. Heavy items: sofas, beds, oversized wardrobes and more. Easy to move: chairs, rugs, dinning table, entertainment centers, small closets, storage drawer units, coffee and study tables. For starters, don’t just use any box for packaging; only use strong and sturdy ones. Looking to ship multiple items at once? If yes, be sure to wrap and protect each item with padding or blankets. After packaging (wrapping and boxing), be sure to shake the boxes to confirm if the items are secure. Of course, it’s in your best interest to use additional cushioning if need be. Shipping tables by freight? If yes, never fail to dismantle legs and pieces. Once you’re done, you can then wrap, box and crate together. It’s also great to dismantle other bulky items. Of course, the big idea is to reduce their bulkiness and weight. It’s also an excellent idea to use wax to polish the surfaces, doing this will put scratches and blemishes at bay. We also recommend you use premium quality duct tape to stick various pieces together. And always use shipping tape to ensure a strong seal. Looking to ship couches? Just start by removing all slipcovers and cushions. Then proceed to wrap separately. And finally, be sure to fully pad and crate to secure. What about electronics? Well, at this point. you won’t be wrong to use the original manufacturer’s box to keep things in place. But if you can’t find that , you can just bubble wrap- this should help prevent shifting. Finally, you’ll want to purchase additional insurance if you’re planning to ship valuable items like antiques and other ancient yet expensive works od art. Do there you have it! Now you’re all set to ship your furniture and rest easy knowing that everything will arrive in one piece. Of course, you can always reach out to us if you ever need any help in the process- we can do everything from packing to custom crating and more. Happy Shipping!